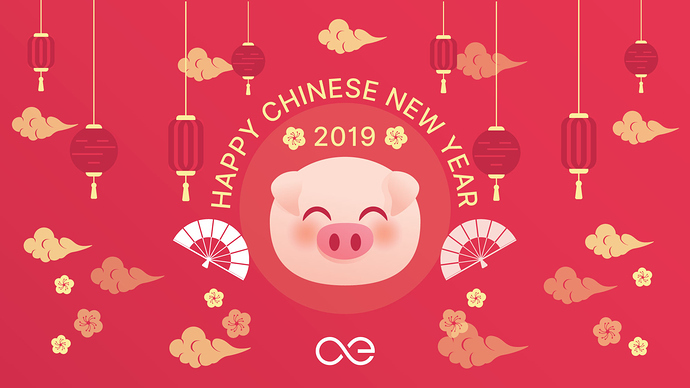 Happy New Year to æternity's Chinese friends! We wish our Chinese friends, supporters and everyone celebrating today a Happy New Year! The whole æternity team wishes you health and happiness! What year is that according to a Chinese calendar? How do you usually celebrate it in China, guys? According to this webpage, the Chinese New Year, or Spring Festival, has more than 4,000 years of history. However, the Lunar New Year is not celebrated in China only, but in many other Asian countries like Korea, Vietnam and Laos. Do you celebrate it? May I ask where are you from? In New Year holiday everyone will go back home(wherever they work or live) and all the stores will be closed and everyone will go to reletives to celebrate new year together. I always thought of New Year in Europe as a holiday that people spend with their friends rather, and Christmas is for family, isn’t it? Yes, at least in Bulgaria I think that is the case. Yeah, that’s what I saw in Czech Republic as well, so you’re from Bulgaria?